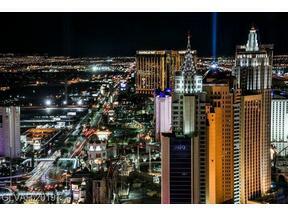 Vdara Hotel Condos For Sale-CityCenter's Hidden Gem on "The Las Vegas Strip"
Vdara Hotel-Condo was the first tower to be built inside the City Center Complex that contains The Aria, Veer Towers and the Mandarin Oriental. 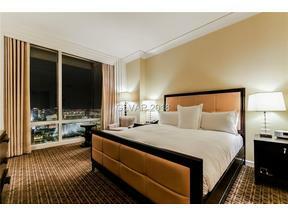 This 57 story tower houses 1,495 hotel-condos vary in size from just over 500 to 1,700+ square feet with floor plans that include studios, deluxe studios, one & two bedroom suites as well as spacious penthouses. We receive many calls from prospective Clients curious about the Hotel-Condo type of product and many do not know what is truly is. 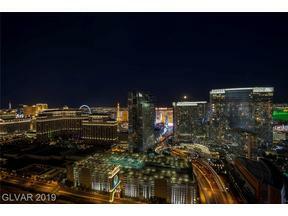 Hotel-Condos in Las Vegas include units in The Signature MGM Grand, Palms Place at The Palms complex, Trump Tower Las Vegas, The Platinum LV and Vdara Hotel-Condo across from The Aria Resort and Casino. 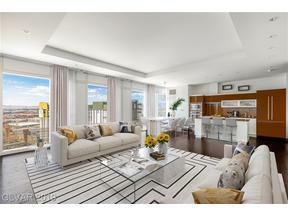 All of these high rise condo towers give buyers the option to purchase a fully-furnished unit. As an owner of a Hotel-Condo you will then have the option to place the unit in the rental program with the on-site management. The unit will then enter the pool of available units that guests can book on a nightly basis with you, as owner receiving a monthly portion of the revenue stream. 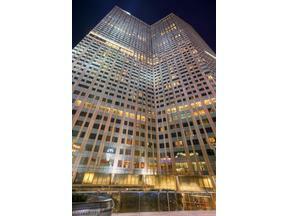 The daily rates are set by the hotel rental program management. This is based on a variety of factors: demand which is affected by what is happening in the city from month to month for example, conventions, concerts and events, seasons and availability throughout the hotel industry. Clients interested in the Hotel-Condo units typically ask how many nights can I expect to have the unit occupied per month and what will be the net profit I receive from the revenue it creates? As Realtors we cannot sell a Hotel-Condo unit with any promise of a given return or projected cost, but we can request the most recent rental statements on the specific unit in any contract for purchase. Buyers will then have an opportunity to review the actual monthly amounts that that unit has produced along with the HOA monthly dues and other costs and charges during their due diligence period. An easy way to get an idea of what the room rates are in the various towers, is also to hop on any travel site on the internet and look at the going rate for a unit is in whichever Condo-Hotel you are considering purchasing a unit. That will give you an idea of what the units are getting on a nightly basis at that point in time. 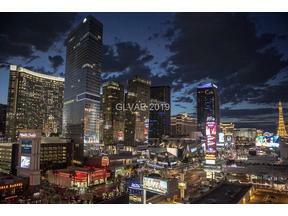 For Clients who are looking to purchase a unit that they can use for themselves when they come to Las Vegas and then have that unit rented out the remainder of the time without any effort on their part of constantly securing a new Tenant, a Hotel-Condo can really be an excellent option. Monthly HOA dues do tend to be higher than that of a residential condominium, but the services provided are also much greater than that of a private residential building. 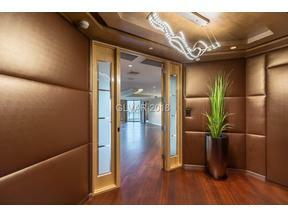 The Vdara has lounge in the Lobby as well as a Starbucks. The Vdara Pool area covers 40,000 square feet and has about 19 cabanas. A t2 Story Spa and Salon called Spa & Salon Vdara is made up of 11 private treatment rooms, a sauna, a steam room, co-ed lounges, a full service salon, a fitness center and a smoothie bar. 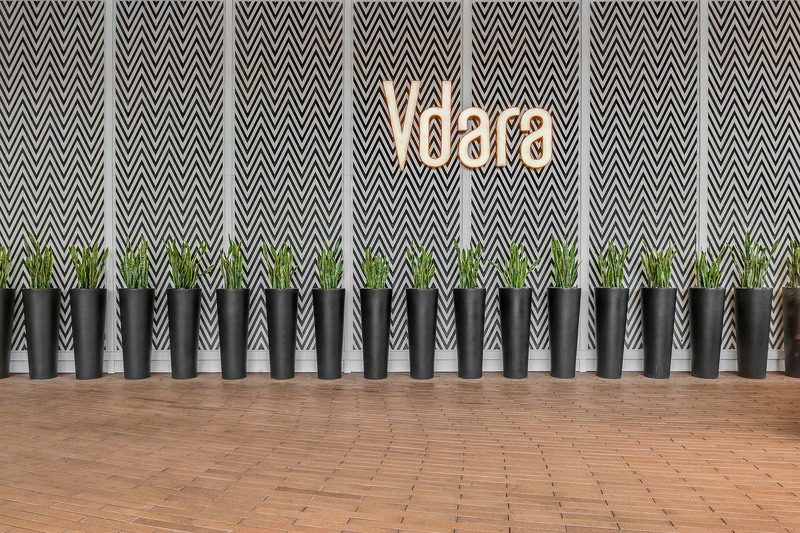 All of this combined with the full service Valet and doorman along with bellhop service and an area for guest to walk their pets make Vdara a wonderful destination resort. 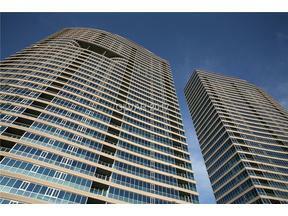 The Vdara Structure is quite a work of art created with three parallel, offset arcs of varying heights. Because of its staggered arc design, Vdara contains six corner suites per floor, compared to just four in a more conventional building. The curvature of the building is complementary to the arcs of Aria Resort & Casino, which is located across a shared circular driveway. Many of the units that face north have breathtaking views of the lake at The Bellagio and the amazing fountain display that is featured daily. 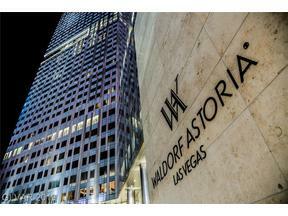 Vdara sits right next to The Cosmopolitan Hotel / Casino and is also just steps from the Crystals Shops and The Aria Resort. It is unrivaled in terms of location and the interiors of the units are furnished with a clean, modern style that gives guests a spacious and a functional interior space to enjoy while they spend their time here in Las Vegas. The HOA dues on the Studio units are approximately $688 per month and the one bedrooms are approximately $980 per month. The Stark Team has been selling residential and hotel-condo luxury high rise units from the pre-construction days of 2005-2006. We have extensive knowledge of the current market as well as insight into the history of the buildings and how they have changed and affected the real estate market over the last ten to twelve years. 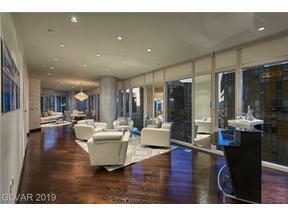 We were the #1 top selling agents countrywide at The Cosmopolitan when it was originally announced as a hotel-condo project (there are still units for sale in the MLS but they are extremely rare, at the rate of 1-2 sales per year) and we were sought out by the Brokers of City Center when it was first announced at it’s inception as Agents to help sell units in Vdara, Veer and the Mandarin Oriental. 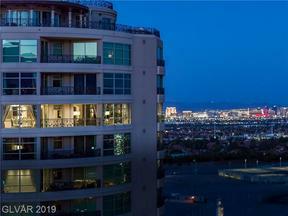 We at The Stark Team serve to assist our clients in making the most intelligent and sound decisions when purchasing a property in the Las Vegas luxury high-rise or residential market and always offer an honest and caring approach to Client interactions. We love real estate and take pride in making our Clients happy with every transaction! 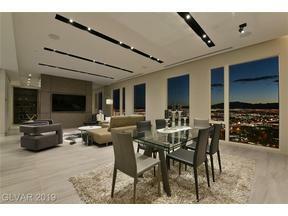 You can reach me directly at: 702-232-5376. 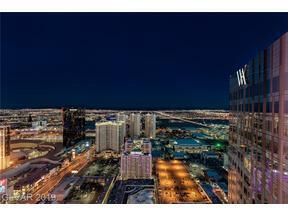 This entry was posted in CityCenter, Condos Near Aria, Las Vegas Luxury Condos, MGM Condos, Vdara and tagged Las Vegas Condo-Hotels, Las Vegas Hotel Condos, Las vegas Strip Condos for Sale, MGM Condos Las Vegas, Vdara, Vegas Condos. Bookmark the permalink.